used negatively, connoting repression, often by means of secret police or state terror, in Arab countries. In 2000, Burkhart accepted a position as a Case Officer with the Central Intelligence Agency. The book includes details of both the notoriously arduous hiring process and the rigorous training program, including Burkhart's eventual successful completion of the Espionage Course taught at the famous "Farm". Burkhart's first overseas working experience was in war-torn Kosovo, where he was unwittingly poisoned by an unstable intelligence contact. Burkhart would struggle with the repercussions of this episode for the remainder of his career, and eventually be obliged to accept full medical retirement from the CIA. However, before retiring, Burkhart completed tours in Iraq and Africa. His time spent in the Green Zone almost immediately following the occupation of Baghdad, constitutes the majority of this enlightening book. 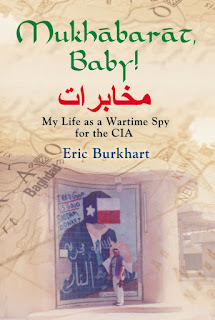 Burkhart exposes the reader to the human element within the CIA, and we are introduced to a variety of characters, some who will seem familiar, and some who reveal the eccentricities we expect with this kind of occupation. Mukhabarat, Baby! is Eric Burkhart's first book. It is a memoir that takes you along the author's unique journey from his international childhood, through a job in community planning in South Africa, work as an Immigration Agent in Texas, the ins and outs of CIA training and assignments in Kosovo and Iraq as a Case Officer (professional spy) for the CIA. No surprise, that it's not the James Bond illusion seen in movies. You don't carry secret weapons and drive fancy cars. It's intelligence gathering, sometimes in dangerous situations, and requires intelligence, discretion, patience and bravery. Burkhart has led an truly interesting life and he shares it well. The places he has been and the characters he met came alive for me. There are tough moments he shares about openly, but humour is sprinkled throughout as well. And it's the humour he finds in the people, places and situations around him that I was drawn to the most. He has a talent for picking just the right mix of memories to share. It's clear the author enjoyed working for the CIA and was very dedicated to the missions he was sent on. Having to retire because of the long term effects of a poisoning incident was not easy and having to struggle with the CIA for appropriate compensation a difficult experience. 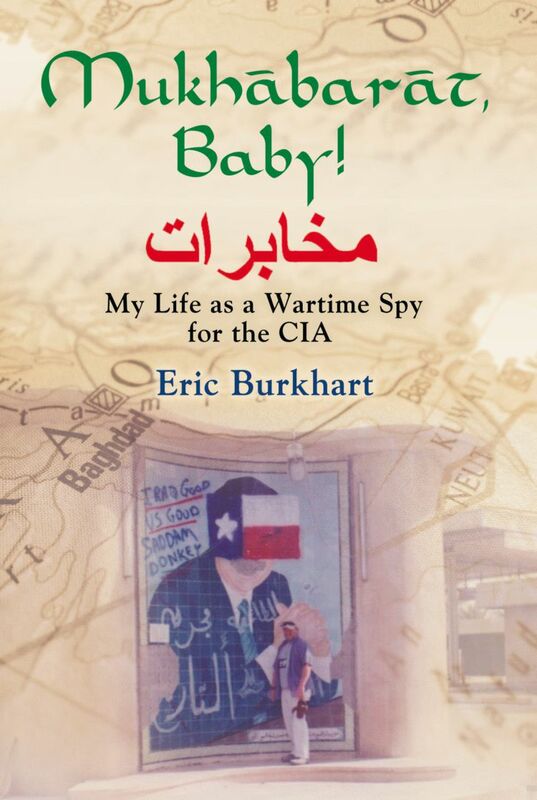 I really enjoyed reading Mukhabarat, Baby! and will probably give it a second read. My only note to the author is that if you do a second edition, I would take out the few offensive terms near the front of the book - musk ox, water buffalo and fat asses. Honestly didn't appreciate them and was relieved you left them behind at the start. Great behind the scenes interview with the author - click HERE! Eric Burkhart was born in North Carolina in 1965, and raised in France by his mother while his father was serving in Vietnam. 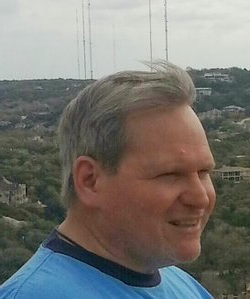 Eric's parents retired to San Antonio, Texas in 1978, and Eric has considered himself a Texan since that time. ​After completing college, Burkhart relocated to South Africa for a job in community planning and design. After returning to the United States in 1994, Eric started a career in federal service by becoming a Federal Agent. In 1999 he moved over to the CIA, which became his passion and focus in life. After being poisoned by while working in Kosovo in 2001, Burkhart was eventually obliged to medically retire, but not before extending his career to include tours in Iraq and Africa. Mukhabarat, Baby! is Burkhart's first book.